“Dismissal is not an option. I won’t give up on him.” Those are the words of a truly dedicated and passionate inclusive educator, and they were spoken by Michelle Talbot, director and owner of Wee College in Moncton, NB, when discussing a boy in one of her centres. Sophie Woodley, an early learning facilitator with the New Brunswick Association for Community Living (NBACL), used that quote to illustrate why she had nominated Michelle for a 2018 National Inclusive Education Award. 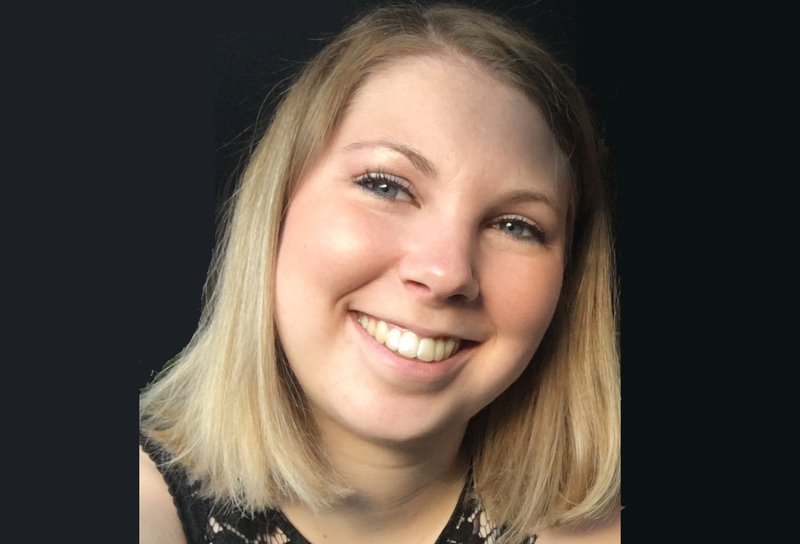 Ms. Talbot is one of seven of New Brunswick’s best “exclusion busters” to be honoured at the 2018 National Inclusive Education Awards ceremony held at Government House in Fredericton on Thursday, February 9. Presented by the Canadian Association for Community Living (CACL), the certificates recognize individuals or groups that have made or are making an outstanding contribution to inclusive education in their province or territory. The event, organized by NBACL on behalf of the Canadian Association for Community Living (CACL), is the focal point for celebrations marking National Inclusive Education Month. “I was amazed by the amount of information she had about this little boy’s behaviours and challenges,” Woodley wrote in her nomination, which went on to describe not only Michelle’s commitment to the inclusion of all the children in her school, but also about how she engenders the same commitment in her staff. Wee College staff member Jennifer Shepherd echoed Woodley’s comments about staff training, describing how Michelle has worked to ensure that her staff is well versed in inclusive practices. Jennifer Vaillancourt, Senior Preschool Educator at Wee College Evergreen, echoed her colleagues’ sentiments in her letter of support for Michelle’s nomination. “She is the heart of each of her inclusive centres,” wrote Vaillancourt. “All children are welcome to attend Wee College, regardless of ability, need, background, culture, religion or economic circumstances. She actively promotes inclusive practice to best meet the needs of our children, families and staff. 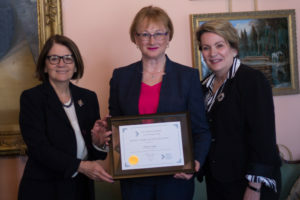 Ms. Talbot is shown in the photo above just after having received her Certificate of Recognition from The Honorable Jocelyne Roy Vienneau, Lieutenant-Governor of New Brunswick and the patron of NBACL, left, and, at right, Joy Bacon, President of the Canadian Association for Community Living (CACL).